19 x 22 mm cast sterling silver cockle shell set with 2.5mm Swarovski Crystal on a 42 cm long 1mm diam. 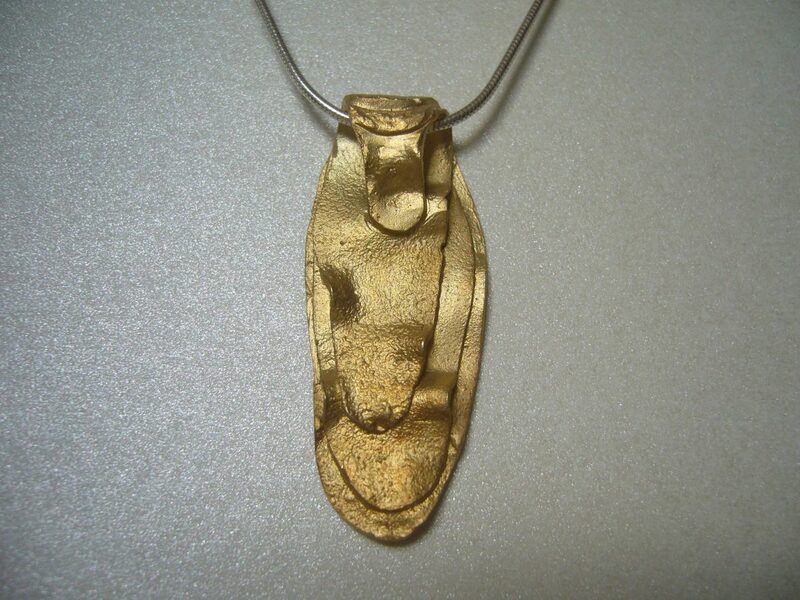 sterling silver snake chain. 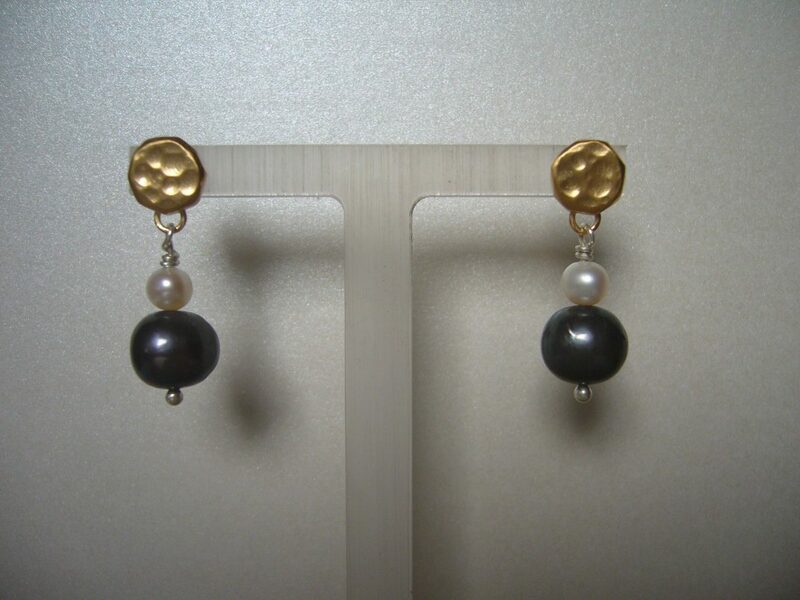 18mm diameter Mother of Pearl beads hanging from an 18 carat Gold Plated Sterling Silver free form shape with a 47mm drop. 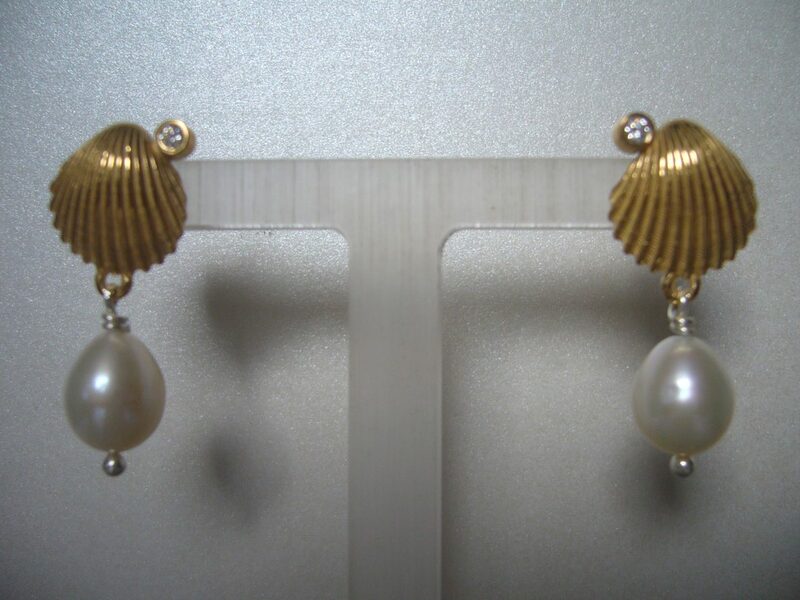 Freshwater Culture Pearls hanging from 18 carat Gold Plated Sterling Silver Cockle Shell with Swarovski Crystal; 30mm drop. 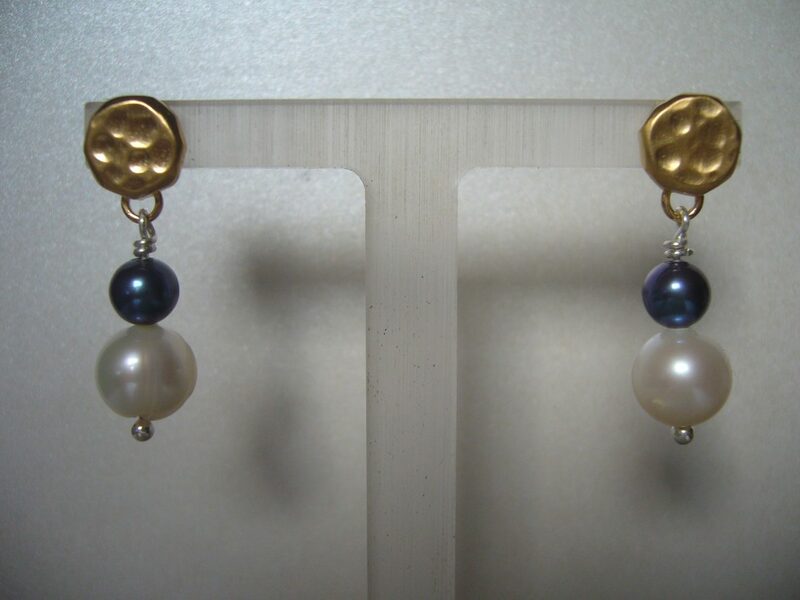 Freshwater Culture Pearls hanging from 18 carat Gold Plated Sterling Silver Disc with Hammered Finish; 30mm drop. 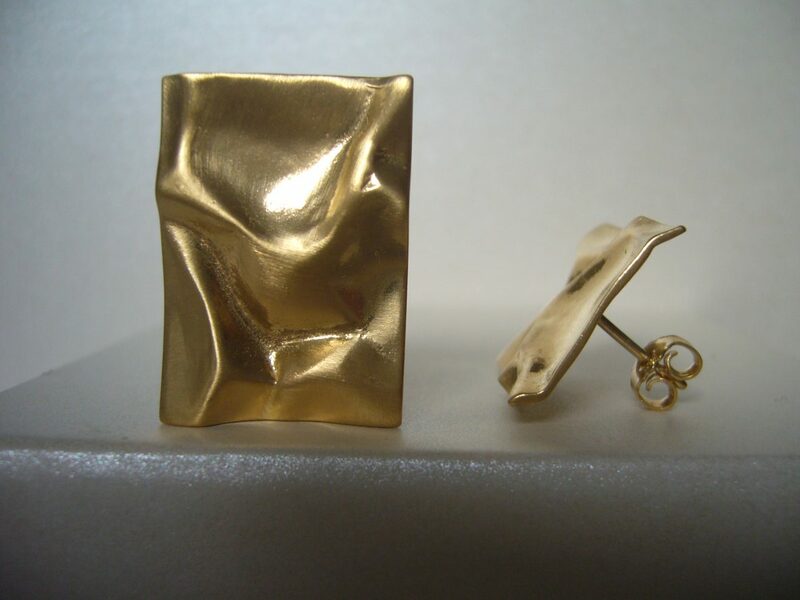 18 carat Gold Plated Sterling Silver Ear Studs; 23mm diameter.